This performance is sung in Chinese and Sanskrit, and features surtitles. For more than a thousand years pilgrims in China left marks of their passing in the Mogao Caves, also known as the Caves of the Thousand Buddhas. Their carvings, paintings and murals speak with a devotion that transcends time, and forms the inspiration for a remarkable new musical work from one of the world’s most exciting composers and conductors. 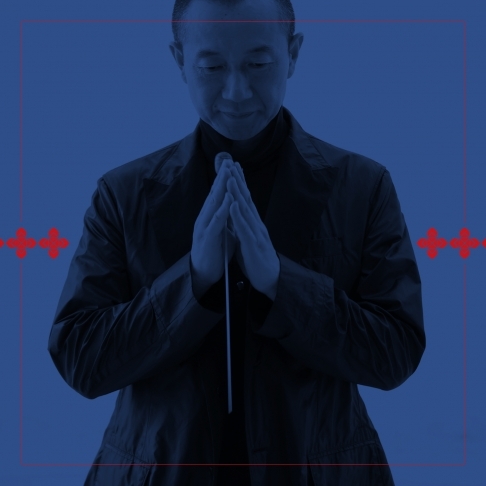 From an Academy Award®-winning score for Crouching Tiger, Hidden Dragon to radically experimental works composed for such organic materials as water, paper and wind, Tan Dun has again and again been proven as one of the truly compelling musical forces of this era. In this Australian premiere, a joint commission by the MSO, Dresdner Musikfestspiele, New York Philharmonic, and the Los Angeles Philharmonic Tan Dun has dreamed the world’s first passion set to the teachings of the Buddha. Two years spent in the Mogao Caves – the world’s most impressive repository of Buddhist art – have allowed him to create a monumental work, sung in Chinese and Sanskrit. This is a captivating opera in six acts telling of love, forgiveness, sacrifice and salvation. Two hours, and fifteen minutes with a 20-minute interval. The Mogao Caves which form a system of almost 500 temples, and where Tan Dun spent two years preparing this enchanting work. Supported by Nan Tien Institute of Higher Education and presented in association with Melbourne International Arts Festival.